Pigment dyeing is not really "dyeing" in it's truest form because the pigments stick on the fabric with the help of binders. Pigments are insoluble in water. There are advantages and disadvantages of this coloring technique. Basic advantage of pigment dyeing is its ability to adhere to a wide range of textiles, not just natural fabrics. 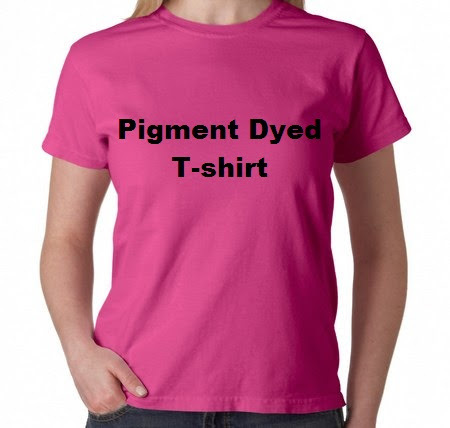 This is especially important with synthetics or blends, which often cannot be dyed with conventional dyes. Main disadvantage of pigment dyeing is pigment-dyed garments tend to be less colorfast, since the pigment dye is a layer on the surface of a textile. It is also less comfortable. Flowchart of pigment dyeing is given below.